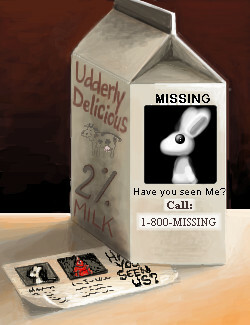 Another attempt at a simple project on the missing alert milk carton. u crack me up ! dudey!reminds of that blur video! 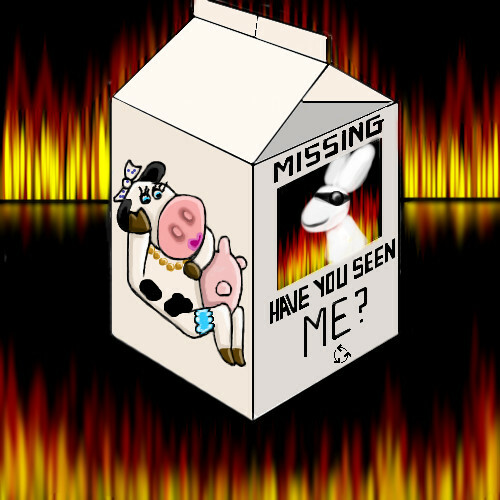 WANTED, fun loving experienced or otherwise, artists to help collab on this Milk carton. The missing is desperate and so am I. If interested please notify me as I am awaiting any individuals that are interested in finding, Our dearest friend, Sock Bunny! Yeah, but now the drawer of the sock bunny seems to be missing.. somebody oughta draw one of these with DMV on it. The Battle for the Four-Letter "K" Word. Korn is really cool! thats one of my fav. 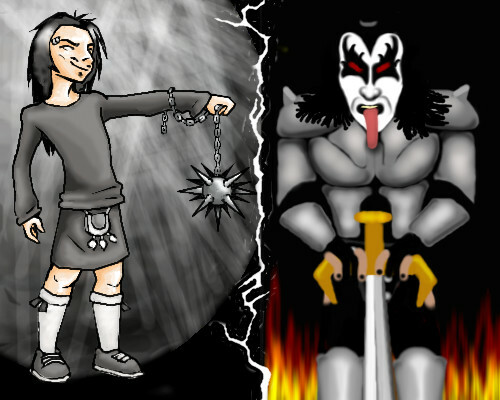 bands.. and Kiss, well they are juz an old band... hm... this is really a cool pic.!! Ummmmm.....I don't know what I am doing lol! 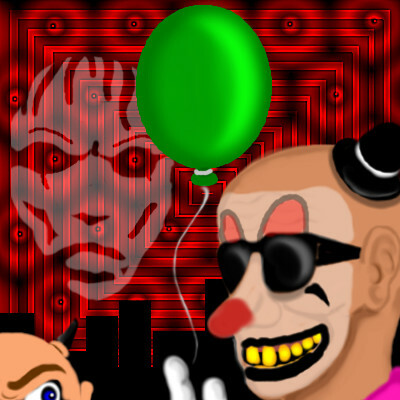 cool dmv.. u did alot with it... sorry again..
That background is great.. and I love that spooky face hovering back there. That's the boss demon watching his recruiter conduct an interview from behind a two-way mirror ..he likes what he sees! The colors you used for the background are good, (except Marcello's right, the sun would be lighter, almost white) and I think the form would be better if the lines weren't so stark and straight where the color transition happens in the sunset, blended together, and not such a straight formation. 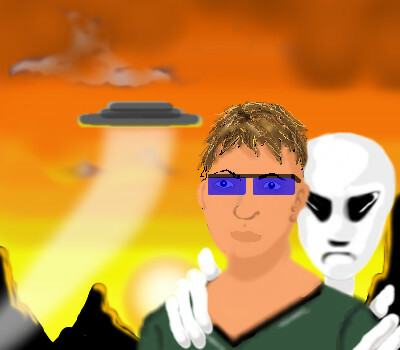 touch up the sun a bit and did the face ...ran out of time ,will work on it later.